N: As previously discussed, the resemblances between this and the Royal Brackla are notable. This is more chalky with a popadom note, samosa, Nigella seeds, a Mini Milk pong, PU cardboard and coppery candid distillate. Shows a great deal at 6 years old. T: So very astringent. With time and water: fruity with rubber tree sap. The distillate softens whilst some soft sweet fruitiness emerges. F: A small burned metallic milky distillate note [much like the Brackla], later with an interesting carb-sweet chew. C: Not happening at all for me, though finishing chews later on show more promise. 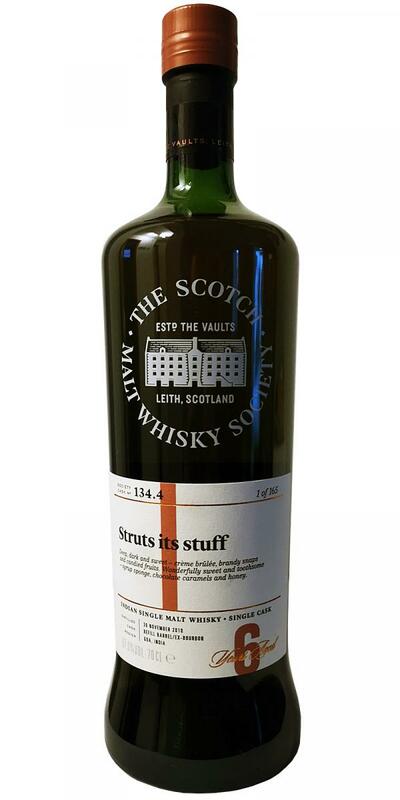 Struts its stuffInitial price: 145£The nose is attractive, with deep, dark sweetness – brandy snaps, crème brûlée, tablet, dandelion and burdock and sweet black tea – hints of candied fruits and monstera deliciosa. 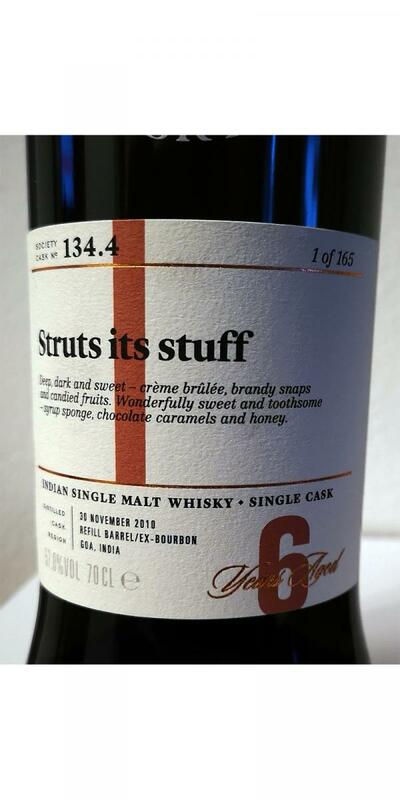 The palate is wonderfully sweet and toothsome – syrup sponge and Daim bars with teasing polished wood and spice coming after – nutmeg, mace, spiced honey and Big Red gum. The reduced nose finds plum, fruit-cake, sherry, spiced rum, orange sherbet and Caramac. The palate now struts its sweetness and its spice – vanilla pods, brown sugar, chocolate caramels, Oddfellows, orange jelly and honey on charred oak – very rewarding, easy to drink and a beautifully warming after-glow.